Hey y’all, welcome to August, where the sewing theme this month is Impulse Sews. Because sometimes you just have to clear your plans and sew stuff as it comes up. 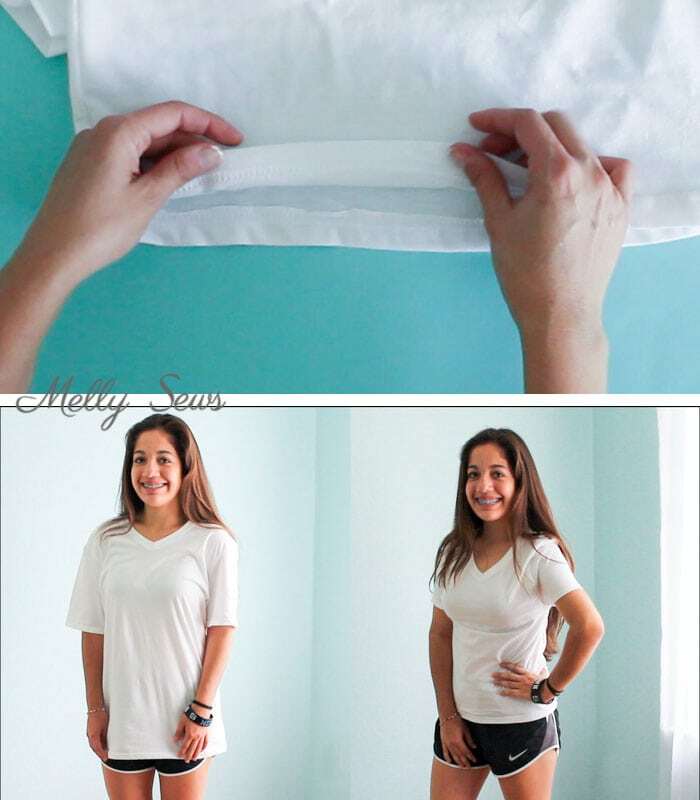 Like today’s post – I have a cousin that a see a few times a year, and like me she has short girl problems, so I showed her the useful trick I’m also sharing with y’all today – how to make a big shirt smaller. I’ve got the video tutorial below, and if it doesn’t load for some reason you can also watch on YouTube here. And if you prefer a written tutorial, scroll past the video. 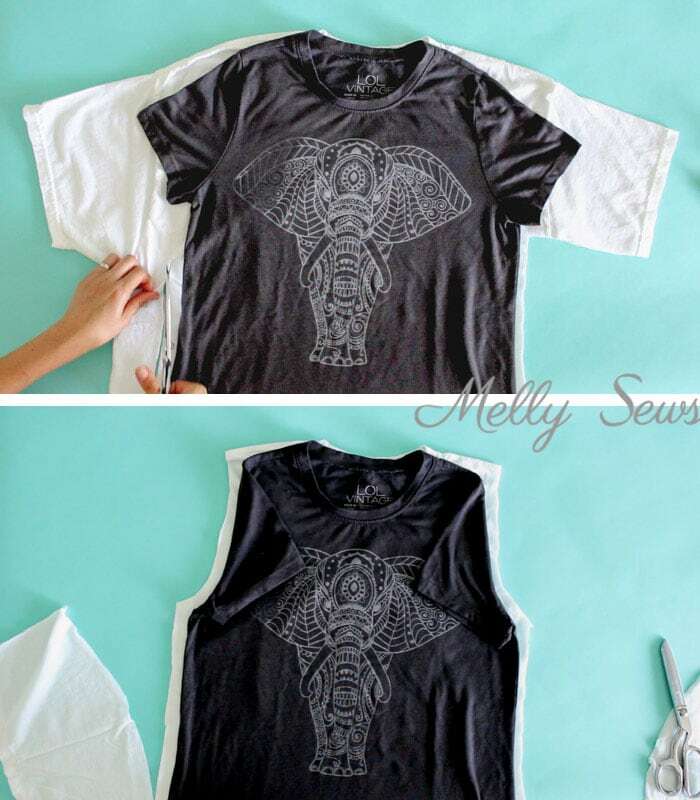 So, to start you need a t-shirt that you like the fit of to compare with your too big t-shirt.Lay them out flat as shown below, making sure to match the centers of the shirts. 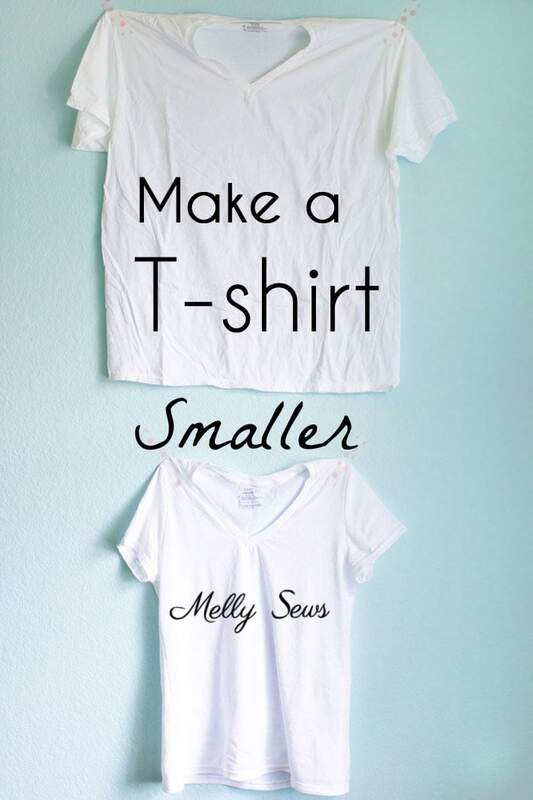 Use your shirt as a guideline to cut the sides and armholes of the the bigger shirt. Fold your sleeves in to see the shape of the armholes, and make sure to leave yourself a big seam allowance. 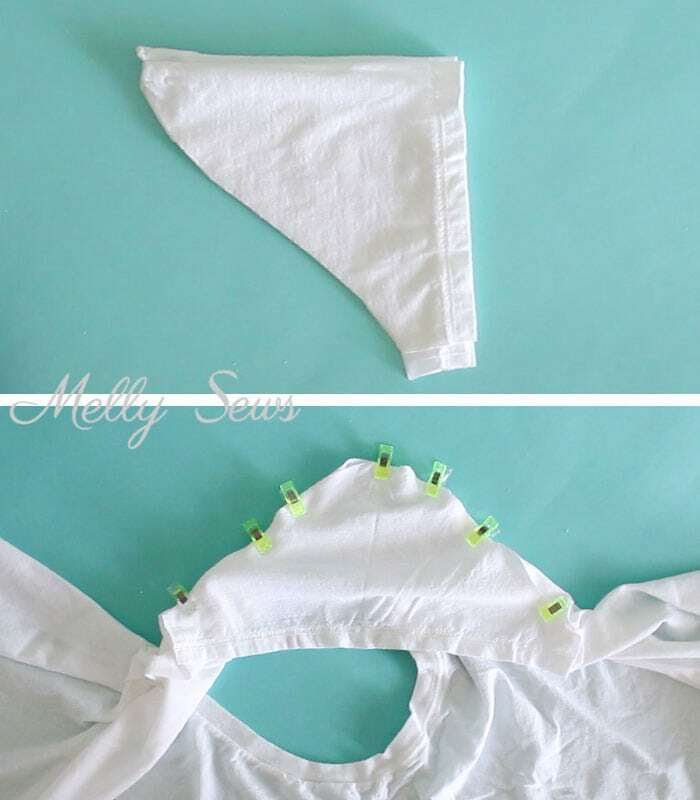 Once you have a general shape, fold the bigger shirt in half and make sure both sides of the front are symmetrical and that both sides of the back are symmetrical. This usually involves trimming your seam allowance down a little, which is why you leave a big one to begin with. Next, use the sleeves of your shirt to cut down the sleeves of the bigger shirt – I like to keep the finished hems so I don’t have to redo them. Make sure the length of your sleeve cap is going to match the length of your armhole before cutting. Attach the sleeves to the armholes as shown above. Use a stretch stitch. Then fold the t-shirt right sides together and sew the underarm and side seams, again using a stretch stitch. 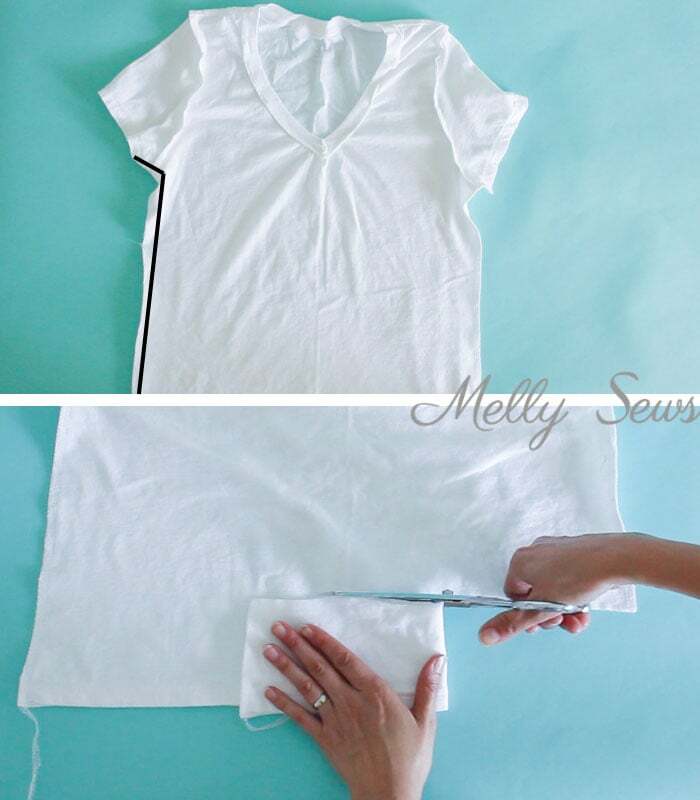 If desired, cut the t-shirt shorter and hem it using a hem appropriate for knits. And done! Go from schlumpy to that classic t-shirt fit! How do you Make sure the length of your sleeve cap is going to match the length of your armhole before cutting.? Thank you for the tutorial. I just remade one of my son’s t-shirts to fit me according to your instructions, and it turned out GREAT!!! Now on to remaking some other t-shirts. I think I might try redoing the neck of one of the oversized shirts as a boat neck. This could be addictive. Thank you, Melly. This is great as I am small and too many times shirts are too big.